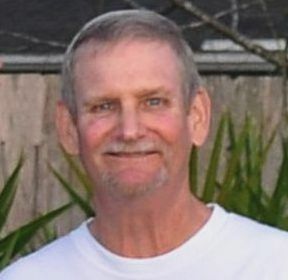 James Dale “Sam” Rayburn, 68 of Fleming Island, FL passed away Friday, July 20, 2018. Mr. Rayburn was born in Bellefontaine, Ohio and moved to the Jacksonville area in 1985. Sam was a 25 year veteran of the US Navy and retired from civil service duty in 2014 from the Fleet and Family Support Services at Naval Station Mayport. Throughout his service with the US Navy and with the civil service, Sam and his wife, the late Jean Barry Rayburn, traveled through the world to include Puerto Rico, Guantanamo Bay, Cuba and his last deployment to Bahrain. He also enjoyed fishing the river and spending time on his boat. Mr. Rayburn was preceded in death by his brother, Donald Rayburn and is survived by his children, Will Rayburn and Beth (Rick) Brown, sister, Margaret Rayburn Johnson and two grandchildren, Nikolas and River. Memorial Services will be held 11:00 AM Saturday, August 4, 2018 at Crossroad Lutheran Church, 5101 Lakeshore Dr. W, Fleming Island, FL 32003.